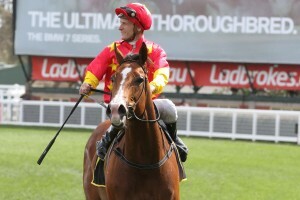 A class line-up of proven mares face off in the Guy Walter Stakes 2017 field on Chipping Norton Stakes Day in Sydney on Saturday including Group 1 winner First Seal. First Seal is the top-rated acceptor in the 2017 Guy Walter Stakes field on Chipping Norton Stakes Day this Saturday. Photo: Ultimate Racing Photos. John Thompson’s five-year-old daughter of Fastnet Rock hasn’t won since her Group 2 Tristarc Stakes (1400m) at Caulfield last October, but looks well placed first-up at Royal Randwick on the weekend. She is one of 11 mares making up the field for Randwick Race 8 at 5:10pm (AEDT) – the $200,000 Group 2 Guy Walter Stakes (1400m) – which runs one event after Winx chases a 15th win on the trot in the 2017 Chipping Norton Stakes. Drawn a treat in barrier four with Christian Reith to ride, the former Flight Stakes winner First Seal was last seen crossing just a length away eighth in a blanket finish behind the filly I Am A Star in the Group 1 Myer Classic (1600m). A good performer when fresh, First Seal comes off a winning Warwick Farm trial and has plenty of experience at the track and over the distance including her fourth to Winx in last year’s Group 1 George Ryder Stakes (1500m). Thompson has also accepted for Zanbagh in the Guy Walter Stakes field this Sydney Autumn Racing Carnival, the Bernardini six-year-old best known for her Emancipation Stakes win last March at Rosehill. Getting the fitness edge of the resuming runners in the race are the likes of the Kris Lees-trained Danish Twist and Ron Quinton’s Dixie Blossoms drawn in barriers 11 and nine respectively. Danish Twist comes off a first-up fourth behind In Her Time in the Group 2 Breeders Classic (1200m) at the track on February 4 when only 1.2 lengths off the winner. The Breeders Classic form was franked last weekend when In Her Time made it a double taking out the Group 2 Millie Fox Stakes (1300m). Dixie Blossoms meanwhile was last seen running a nice third just a quarter-length off the winner Zestful at the Randwick track on February 13 in the Group 3 Triscay Stakes (1200m). She is a Group 3 winner over the Randwick mile and will appreciate getting out over 1400m second-up on Saturday. Drawn betting in the Guy Walter Stakes field are the Peter & Paul Snowden-trained stablemates Flippant (3) and Happy Hannah (2). Corey Brown rides Hinchinbrook four-year-old Flippant who comes off the close third in the Breeders Classic, while Tommy Berry is aboard More Than Ready mare Happy Hannah for her first run since a third in Flemington’s Matriarch Stakes during the Melbourne Cup Carnival. See below for the full Guy Walter Stakes 2017 field, barriers and jockeys before accessing the best autumn racing odds and offers at Ladbrokes.com.au – the home of Odds Boost (T&Cs apply).